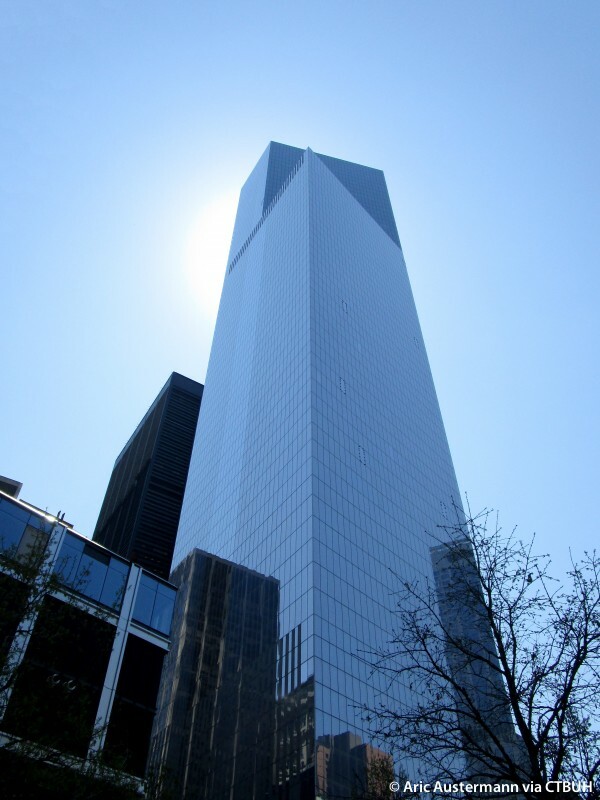 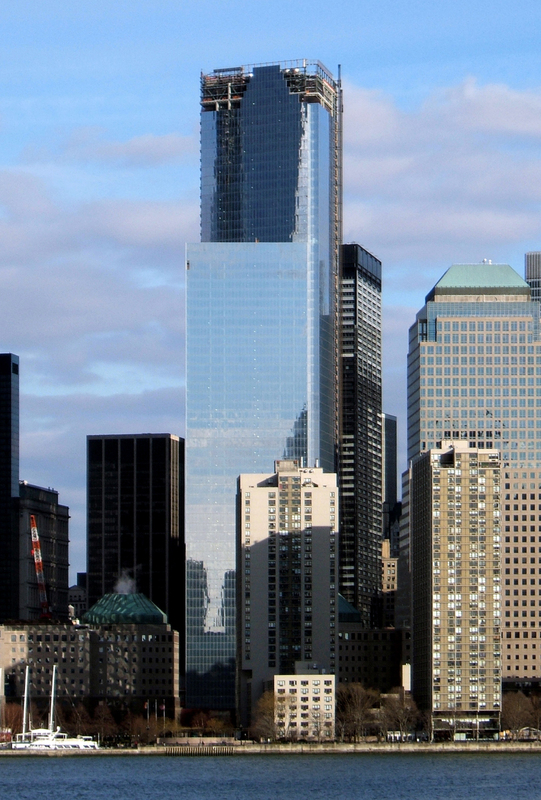 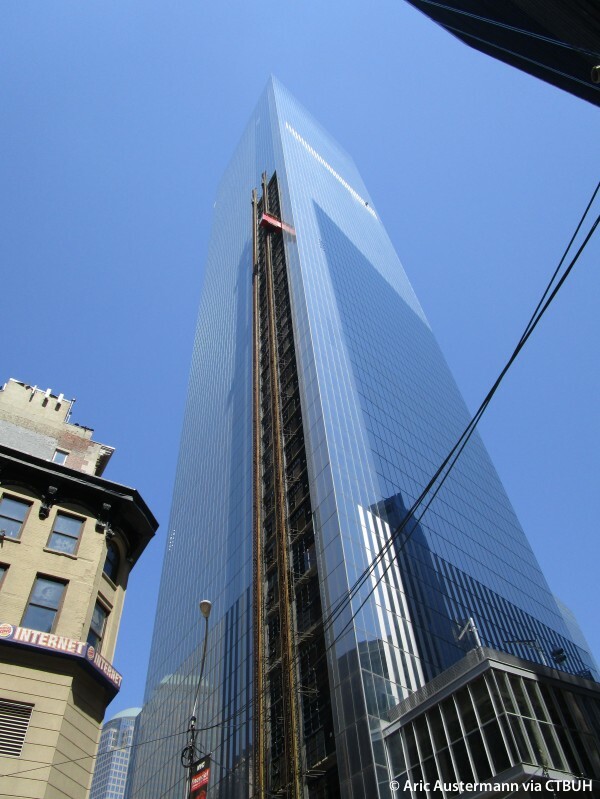 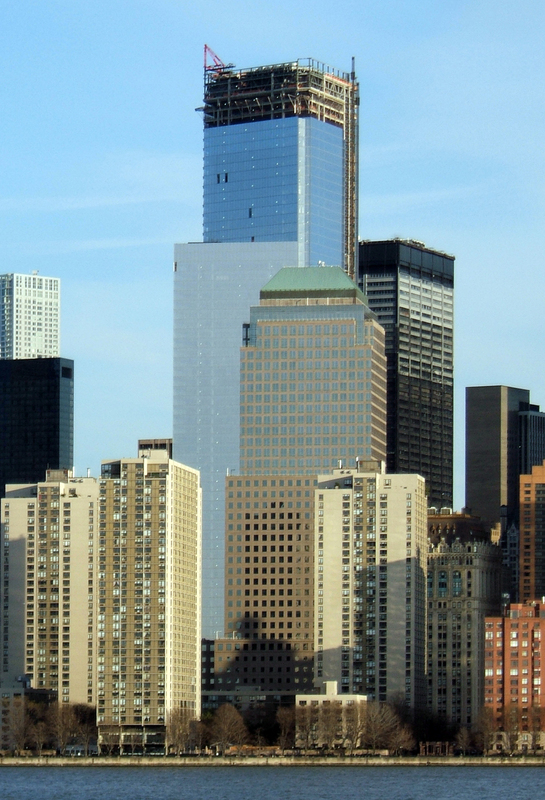 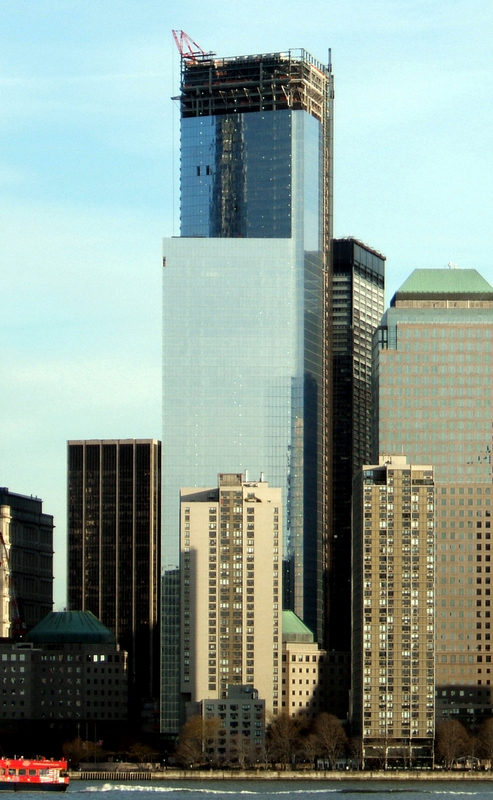 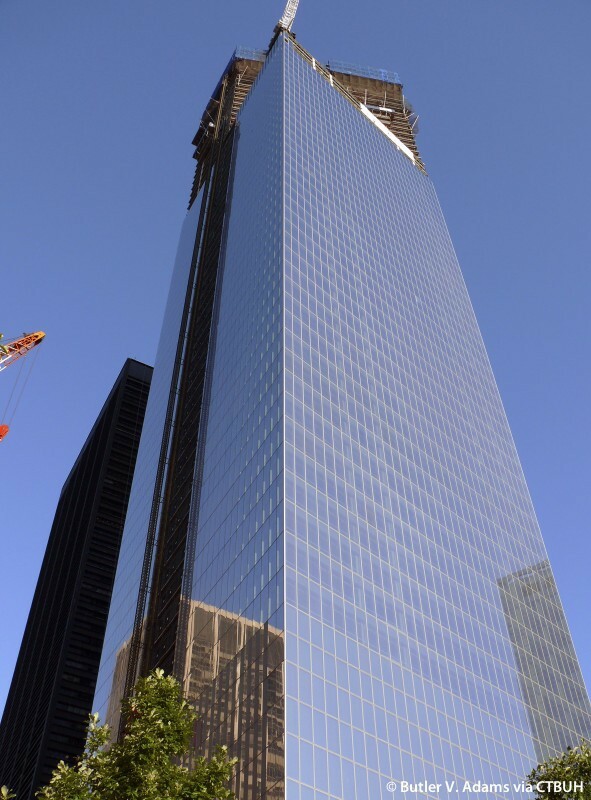 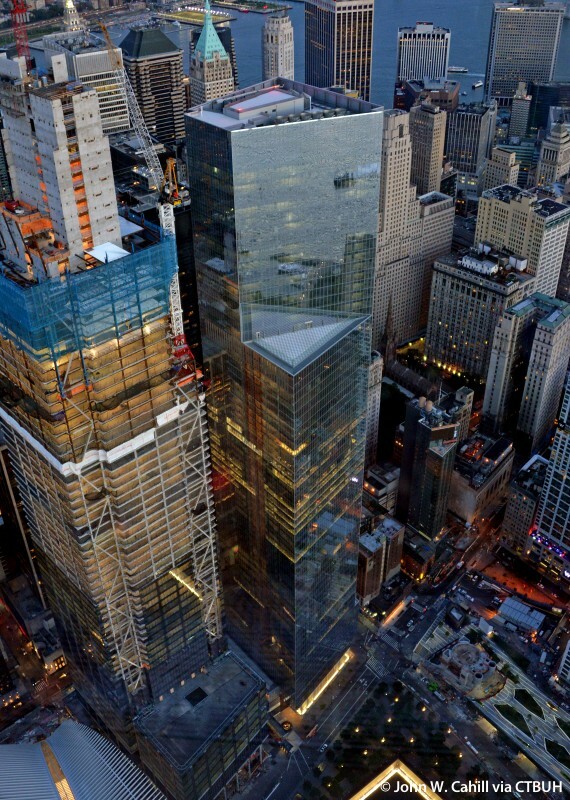 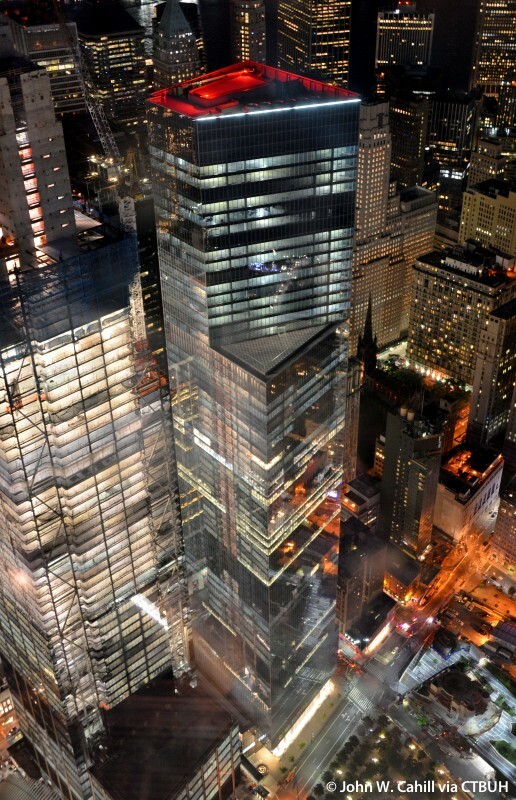 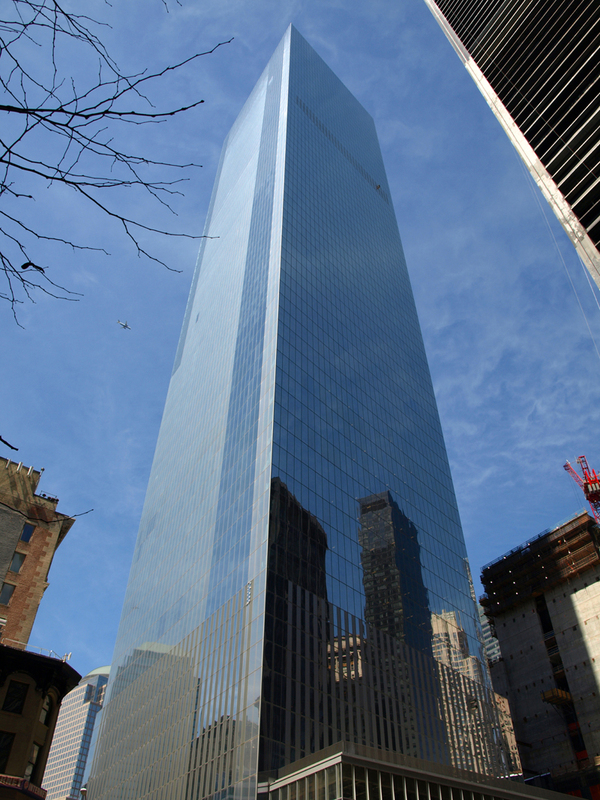 Four World Trade Center was the first tall building to open on the 16-acre World Trade Center rebuilding site. 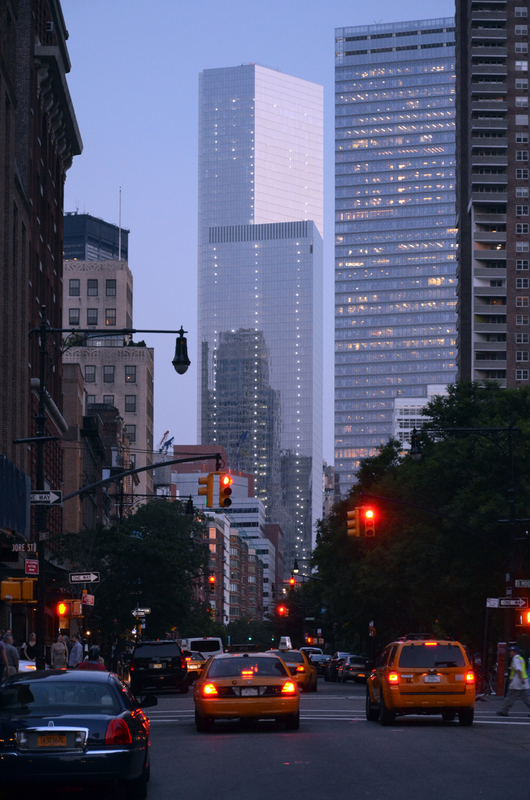 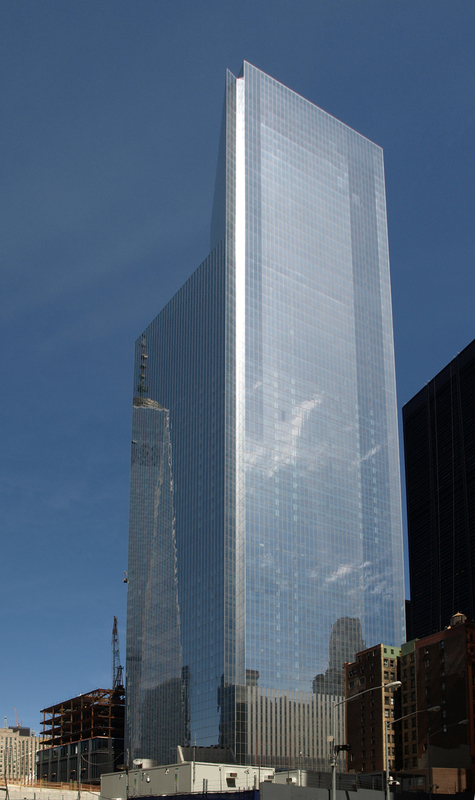 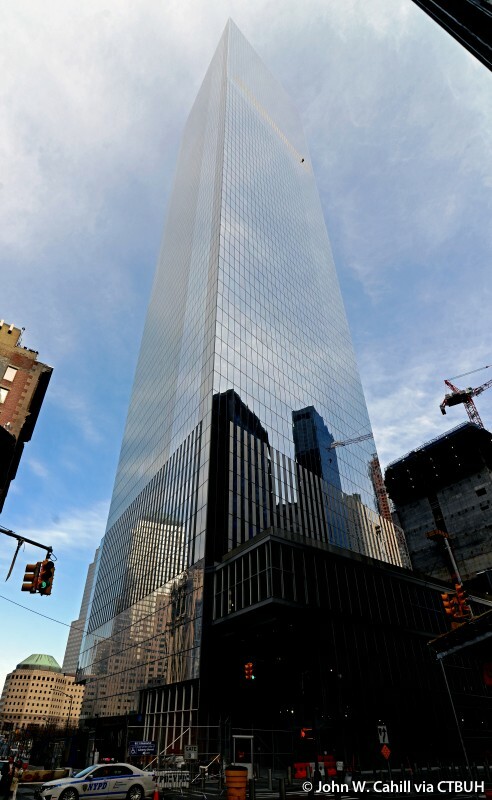 The glass-enclosed tower allows for a play of light along its surface, such that the substantial mass of the building sometimes seems to disappear into the sky. 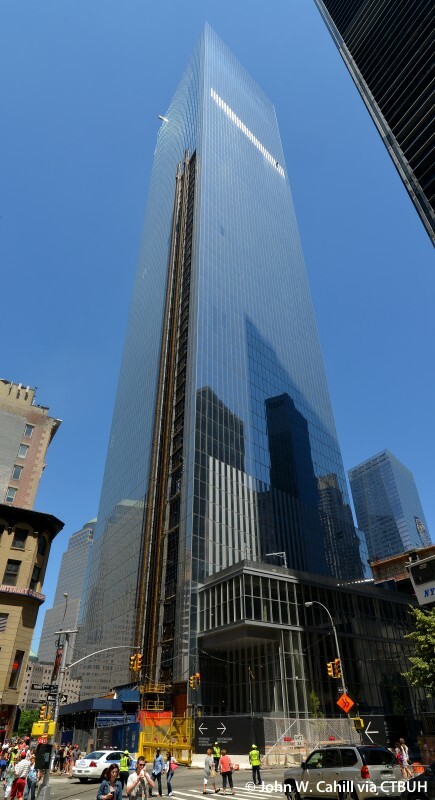 For those fortunate enough to disembark on the outdoor terrace, occupants can also inhabit the sky, an unusual feature for a Manhattan office building. 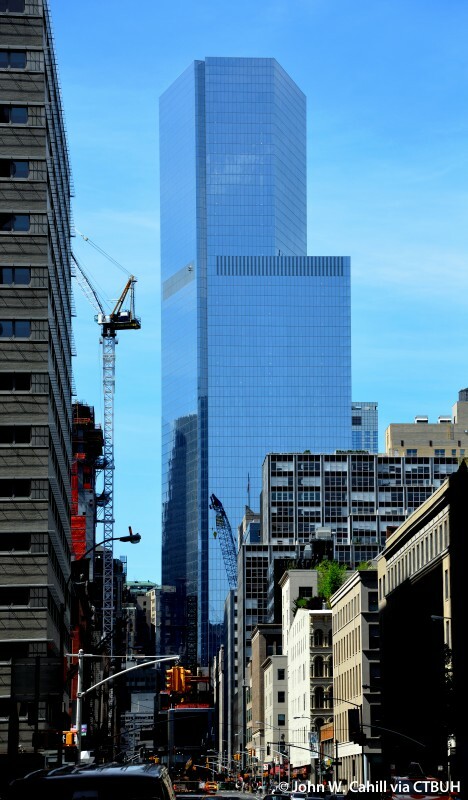 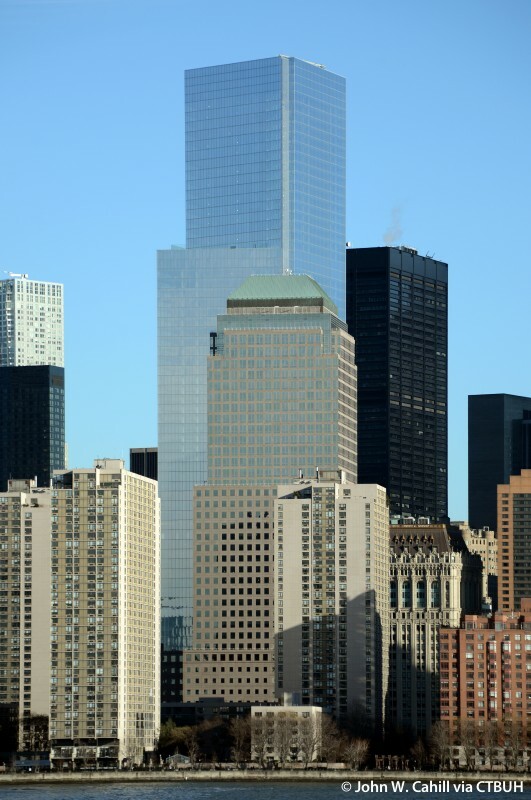 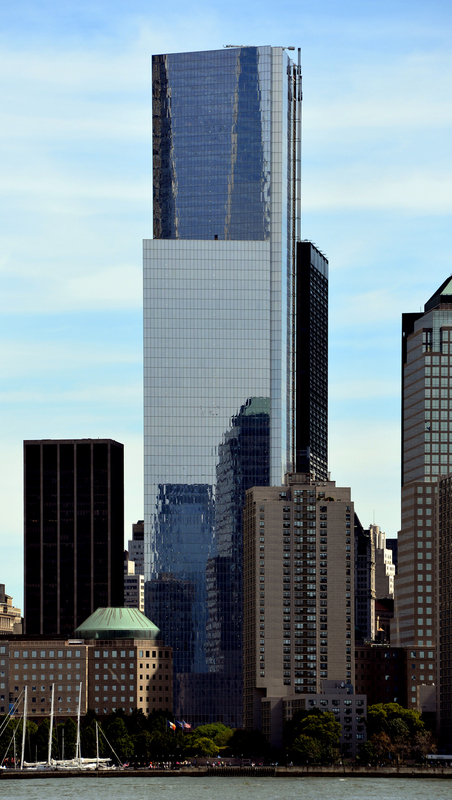 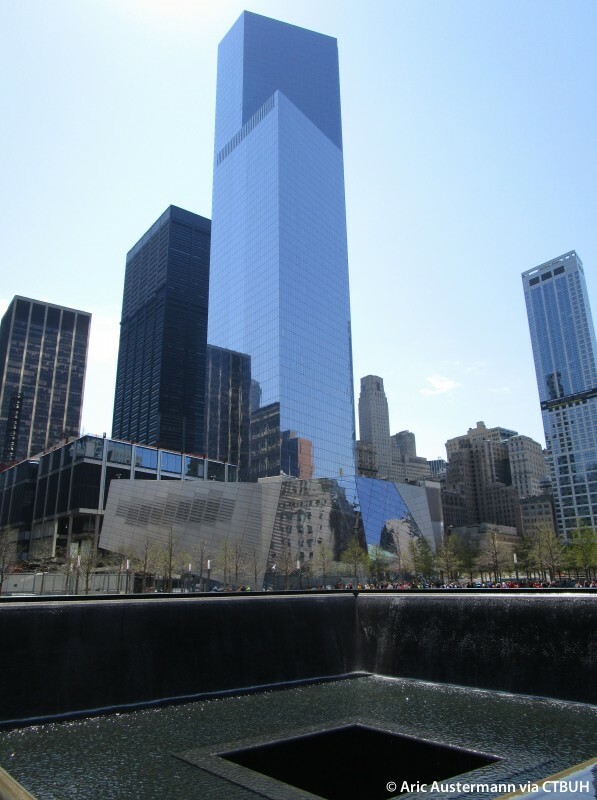 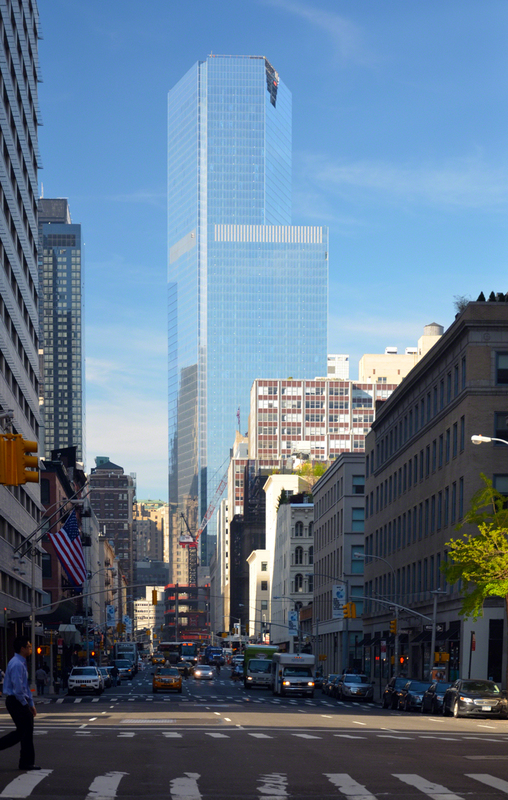 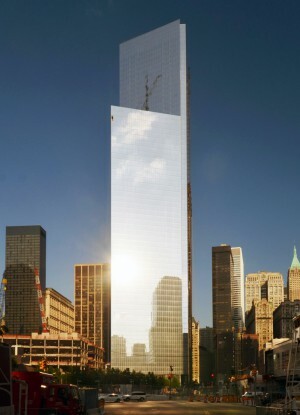 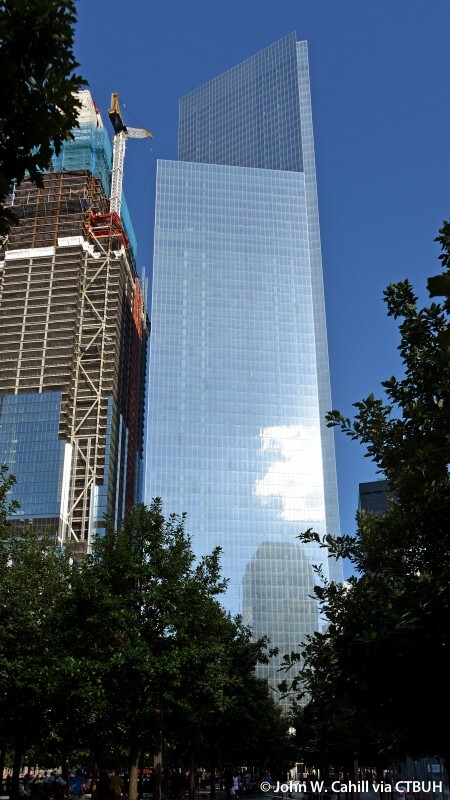 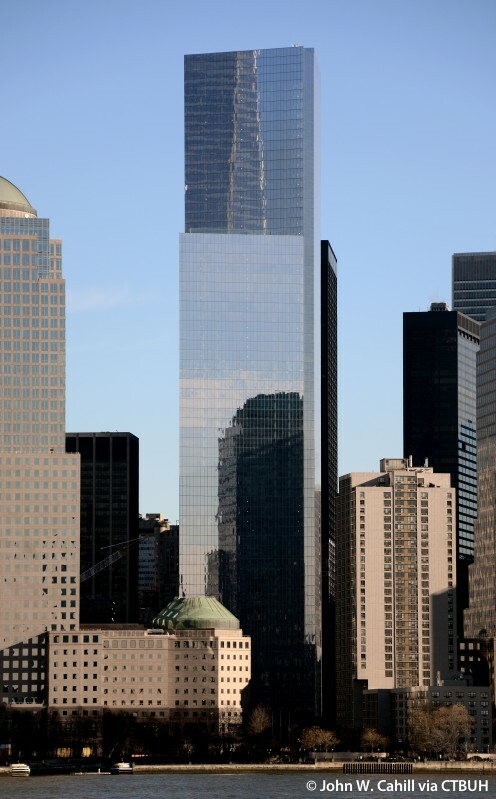 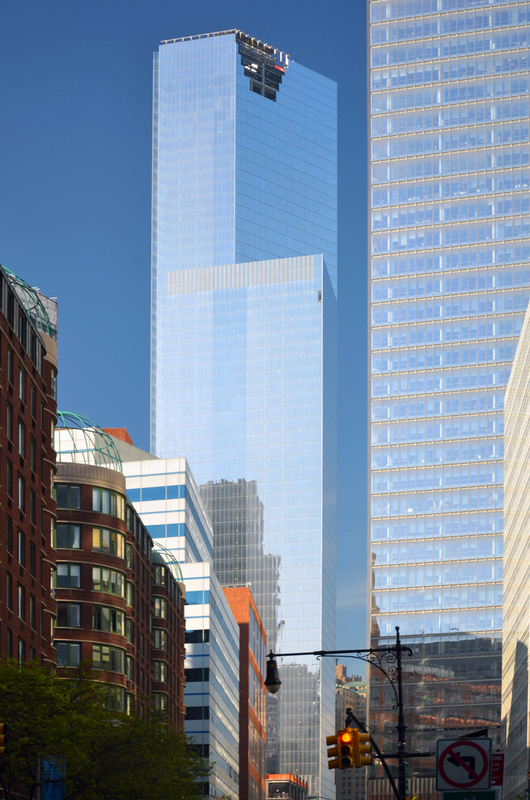 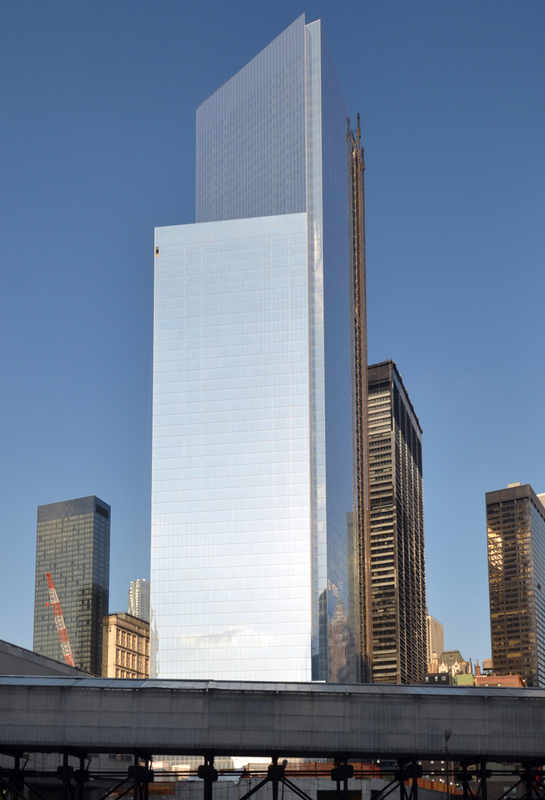 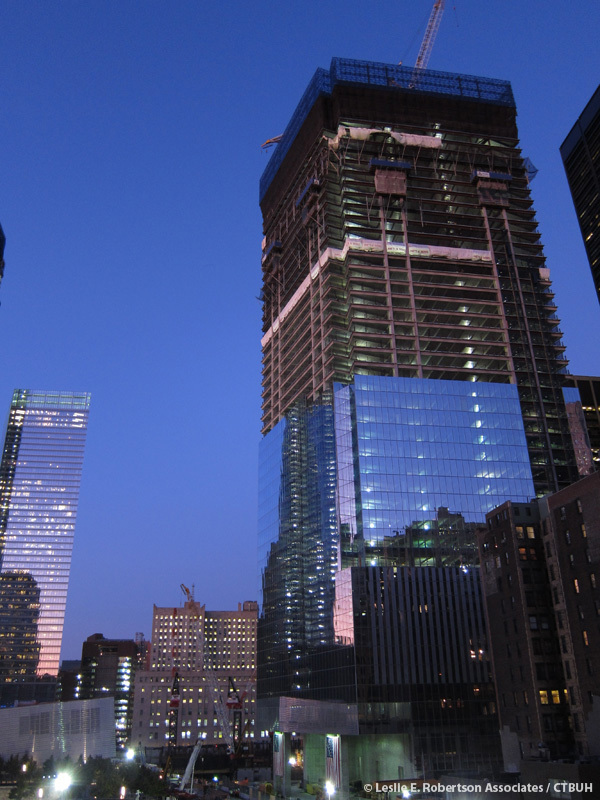 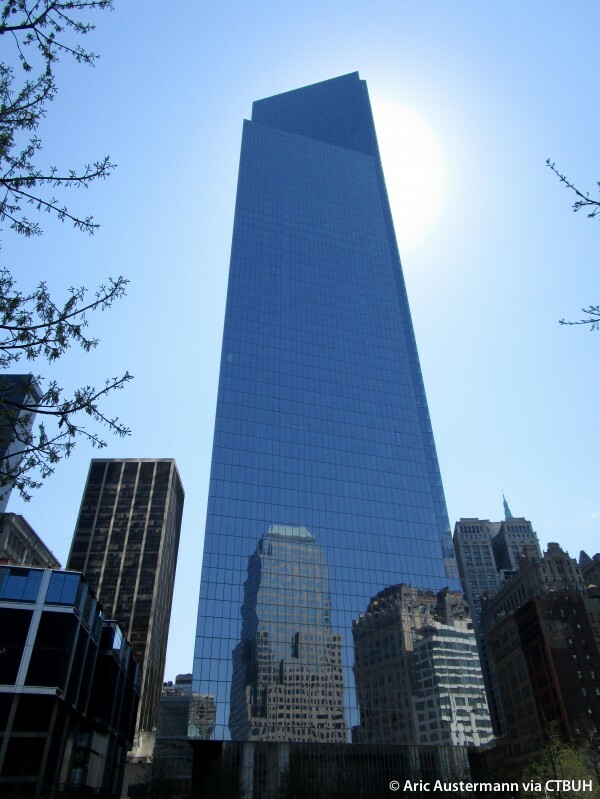 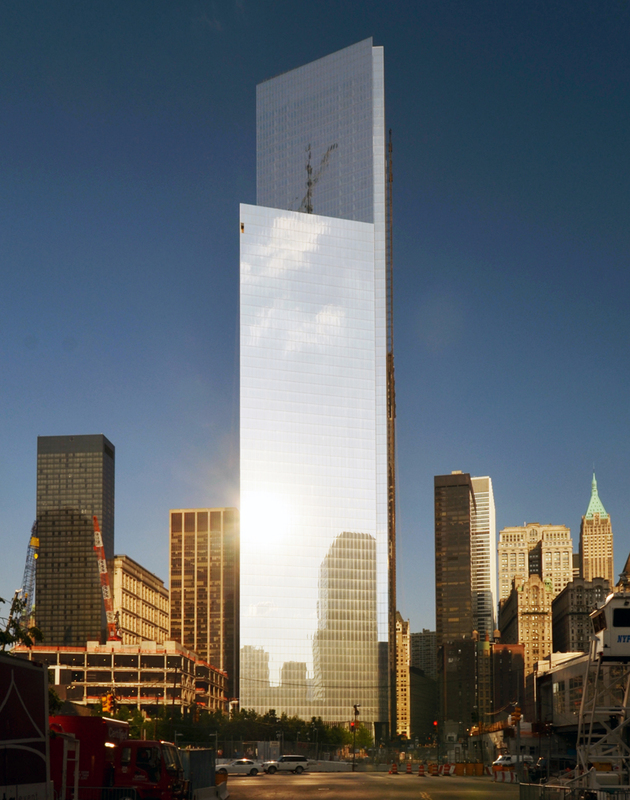 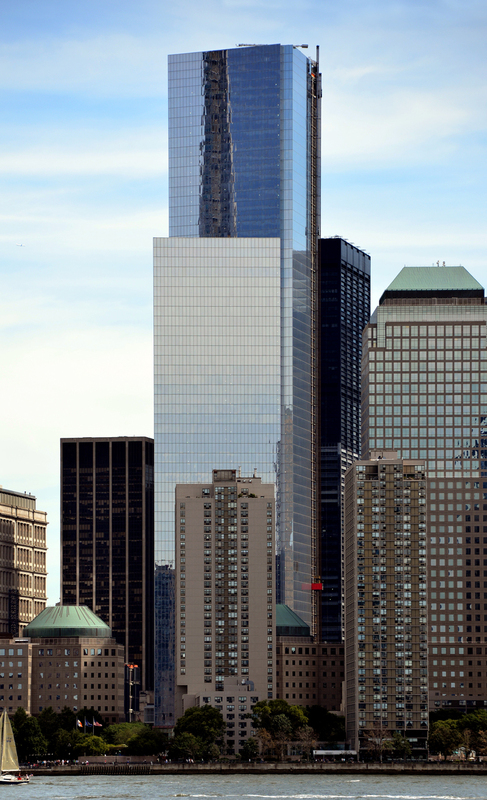 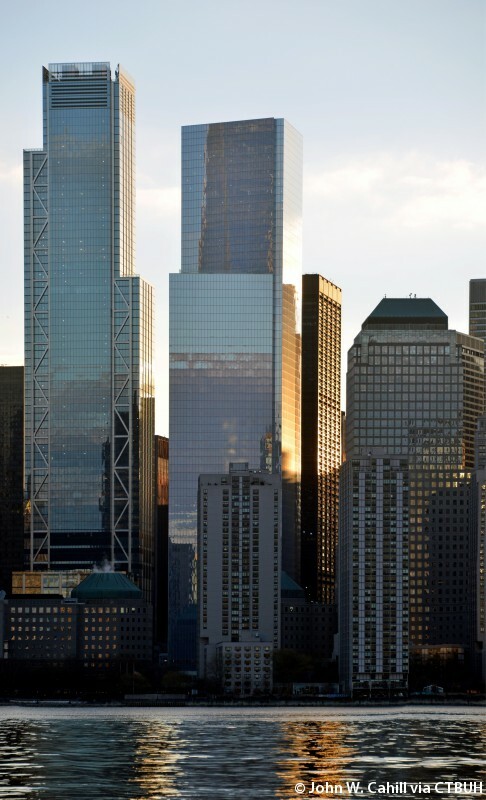 The building is as transparent to the memorial site across the street as it is deeply interwoven with the elaborate network of tunnels connecting the World Trade Center to New York’s subway system. 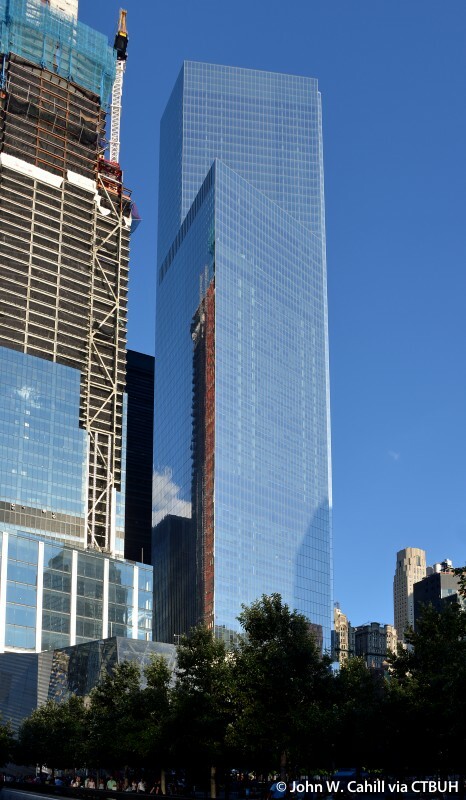 Visitors arriving to the building lobby from below are greeted by 14-meter floor-to-ceiling windows that preview the green oasis of the memorial park. 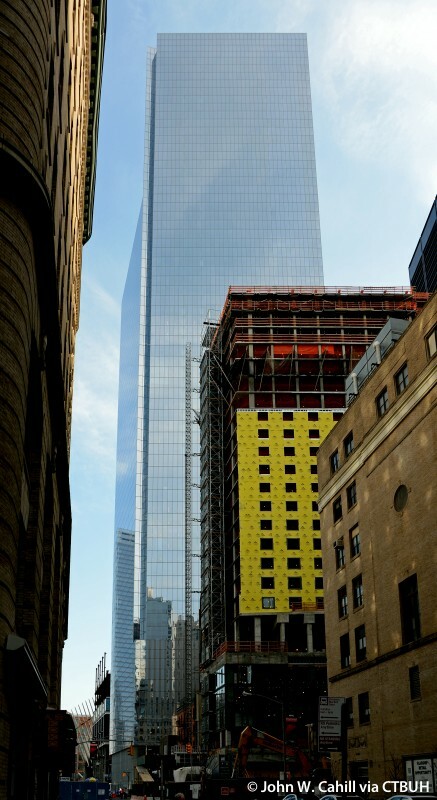 The building’s commitment to sustainability includes 100 percent renewable energy sourcing, and rainwater collection for cooling tower replenishment.